Thank you to one of our new members, Carolyn Jenkins of Taxes with a Heart, giving us some of her insights into the new tax changes. Taking the ‘Ax’ out of ‘Taxes’ covered both individual and sole proprietor tax matters, focusing on the changes occasioned by the Tax Cuts and Jobs Act (TCJA) tax law changes. 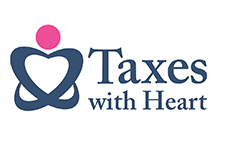 In general, people should see a decrease in their taxes of about 2% resulting from the lowering of the tax rates and the increase in the standard deduction. For individuals on W-2 wages, that tax decrease has been taken into account by a decrease in withholdings, so there will probably be no appreciable change in the refund amount. Many people who have itemized in the past will not need to itemize deductions going forward. Qualified businesses, which include most sole proprietorships, are now entitled to a 20% tax deduction subject to a number of provisos and conditions. This provision is intended to level the playing field for corporations and pass-through entities, of which sole props are one. This section of the new tax law — Section 199A — is complicated and was still being clarified as of just a few weeks ago. 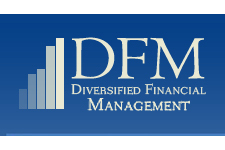 Thank you to Mark Everett and Diversified Financial for sponsoring!